John Gould Fletcher, the Pulitzer Prize-winning poet and essayist, was a prolific correspondent who, during the course of his life, wrote hundreds of letters to such literary luminaries as Harriet Monroe, T. S. Eliot, Amy Lowell, Conrad Aiken, H. D., John Crowe Ransom, Allen Tate, and Donald Davidson. Because he was prominent in both the Imagist and Fugitive-Agrarian groups, Fletcher's letters offer a unique insight into the many crosscurrents and personalities that characterize the Modernist movement. Included here are also letters that shed light on the composition of Fletcher's own works, on his influential theories of poetry and poetics, and on the many conflicts and conjunctions that arose between Fletcher and his contemporaries in the course of a writing career that spanned nearly four decades. Leighton Rudolph's introduction to this astutely selected correspondence presents a valuable overview of Fletcher's life. With this volume, the entire John Gould Fletcher Series from the University of Arkansas Press is completed. 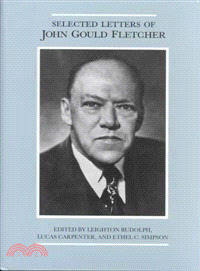 John Gould Fletcher, the Pulitzer Prize?winning poet and essayist, was a prolific correspondent who, during the course of his life, wrote hundreds of letters to such literary luminaries as Harriet Monroe, T. S. Eliot, Amy Lowell, Conrad Aiken, H. D., John Crowe Ransom, Allen Tate, and Donald Davidson. With this finely edited volume, the entire John Gould Fletcher Series from the University of Arkansas Press is completed.